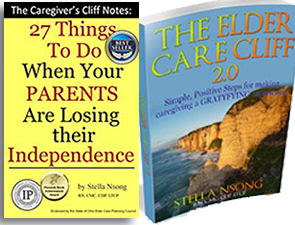 Will Your Company Survive the ELDER CARE CLIFF? Employees who serve as caregivers at home need more than an EAP. There is something missing in our employee assistance programs. Focusing on employee needs through benefits is a constant concern as well as an ever rising cost among employers. The employer’s cost rises but productivity does not rise at the same pace and in many instances it decreases. This is happening because AMERICA is facing an elder care cliff: The time between now and when an individual is faced with a caregiving (usually accidental) crisis that alters the life of everyone involved. Everyone in this country is facing that cliff and some of us are closer to the cliff than others. Employers are facing the cliff with greater intensity and bigger risk because many business owners are caregivers themselves and many employ caregivers. When an employer misses work, his or her business suffers. When an employee misses work, the business suffers even more. EAP programs miss the boat……..HOW TO FIND & FIX IT. The benefit systems and EAP programs used in many companies lacks an effective and culturally competent elder care work place program. 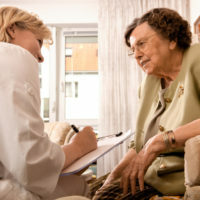 Many EAP programs hand a list of community resources to the employee and by the time the employee gets of duty, all social service offices are closed so that resource list is useless and that employee continues to be buried in his/her stress and no resolution to their pressing caregiving needs. What is missing is an eldercare work place program that engages the employee in long term care planning, fall prevention, provider connections, crisis prevention and work life balance. To begin working on this issue, human resource departments need to step up a system for identifying employees who are family caregivers and to set up programs and policies that address attendance and support for these employees. Creating a “work coverage and team coverage” plan is an effective way to manage absences brought on by unexpected caregivers situations. Over the last eight years, I’ve used my expertise along with the CAREgiving Institute (a 501 c. 3 agency located in Rocky River) in collaboration with the Ohio Elder Care Planning Council, to design and execute effective elder care work place programs (the Caregiver Relief Network). These programs support employers who want to boost the bottom line, reduce absenteeism, improve employee retention, lower their health insurance premiums and build heart power among their employees. An elder care work place program can enhance the benefits of an existing employee assistance program. 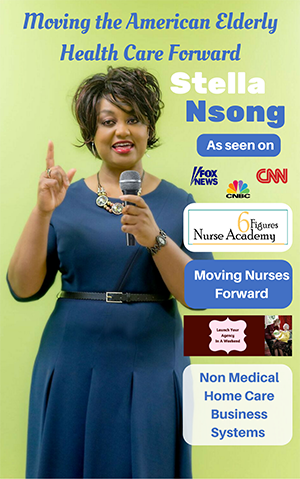 The Caregiver Relief Network offers work site long term care planning services, caregiver coaching, connection and transition to home health care services, adult day health programs, veteran administration benefits applications and well as employee work life balance and wellness workshops. Employers can pick and choose the components of the program that are most suited for their current employee population. 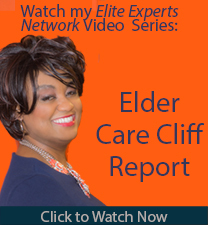 To discuss your company’s elder care work place needs please send an inquiry to Stella@CaregiverCliffNotes.com or call 216-465-9377. Sign up for Stella’s syndicated column and download 3 free trials!